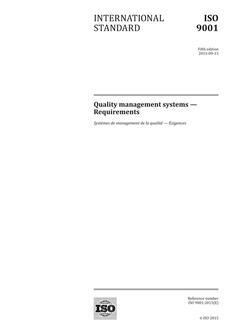 ISO 10006:2003 gives guidance on the application of quality management in projects. ISO 10006:2003 is not a guide to "project management" itself. Guidance on quality in project management processes is discussed in this International Standard. Guidance on quality in a project's product-related processes, and on the "process approach", is covered in ISO 9004. Since ISO 10006:2003 is a guidance document, it is not intended to be used for certification/registration purposes.